Last week, there was an uproar in the Android community, when a security researcher, revealed that OnePlus is collecting a lot of personal data from user devices. This was happening, without the user being aware of the data mining. Reddit fumed and so did many blogs who criticized OnePlus for this shady practice. And the company has handled the fiasco, in its typical la-di-da manner. 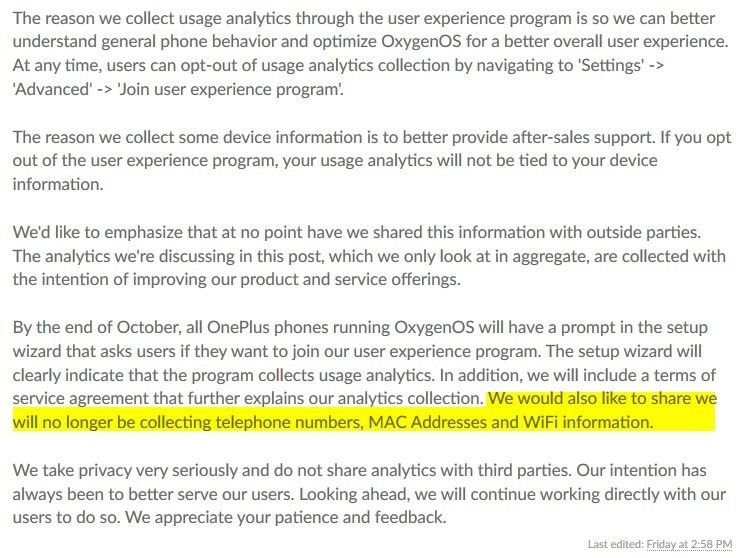 "The reason we collect usage analytics through the user experience program is so we can better understand general phone behaviour and optimize OxygenOS for a better overall user experience. " 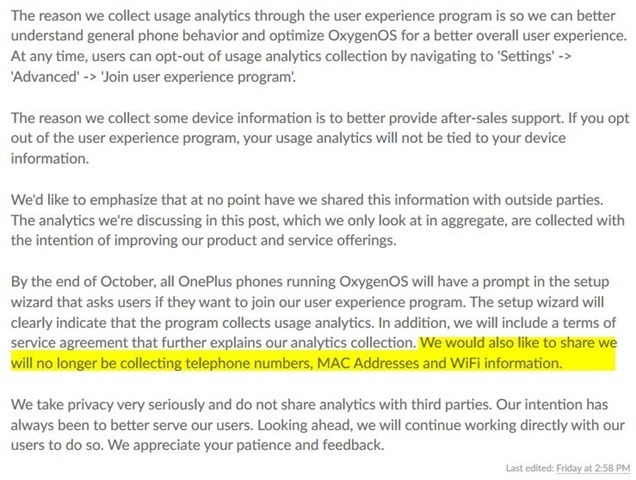 So OnePlus needs your phone number, your WiFi SSID, MAC Address etc., sent to its servers, to improve your experience? How is your number going to help them fix any bug? The bigger question is, who has access to these data? It seems like OnePlus is trying to pretend nothing serious like a breach of privacy has happened, when it has been caught red-handed. Pei in an attempt to calm things down, has mentioned that a future OxygenOS update will let users opt of out of the user experience program from the set-up wizard. Users can also opt-out of this from Settings > Advanced > Join user experience program, even now. If you have a OnePlus device and are worried by this, we suggest flashing a custom ROM.